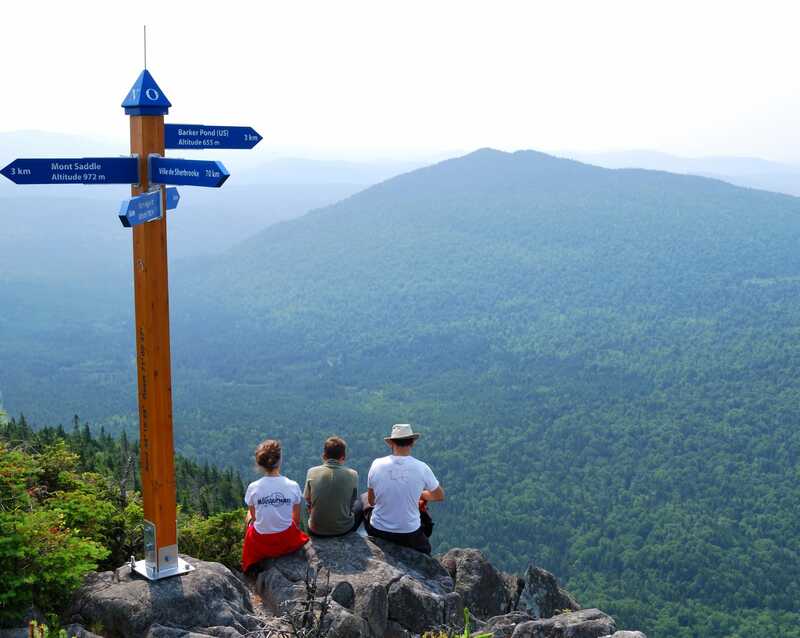 Sentiers frontaliers is a network of 135K of hiking trails that travel through la montagne de Marbre (920 m), mont Saddle (970 m) and mont Gosford (1193 m), the highest peak south of the St-Lawrence river. The network is designed for long hikes, three-side shelters or camping platforms were built every 15K on the main section (SF1) of the trail that is located between Chartierville and Woburn customs. This trail is a challenging 85K as there are a lot of slopes that are sometimes very steep. 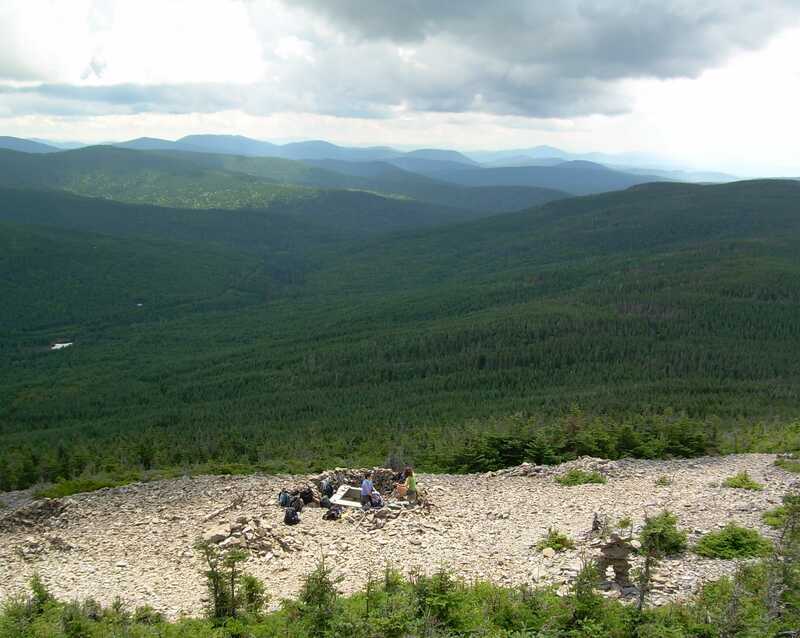 We are linked to the Parc national du Mont-Mégantic with our second section (SF9) that is about 25K and a few fording sites. 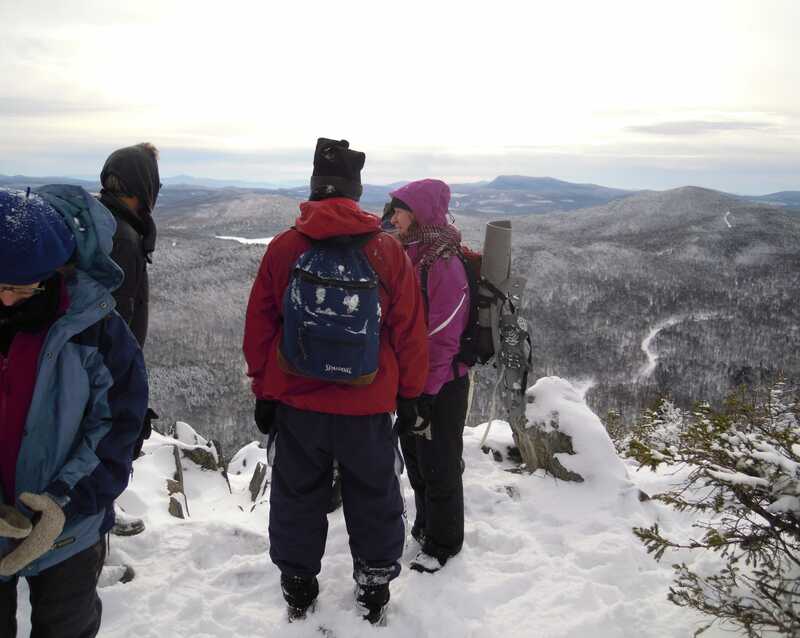 If you are looking for shorter hikes, we do have a few looped trails around la montagne de Marbre (SF2, SF3 and SF5) as well as some around mont Gosford (SF6, SF7 and SF8). 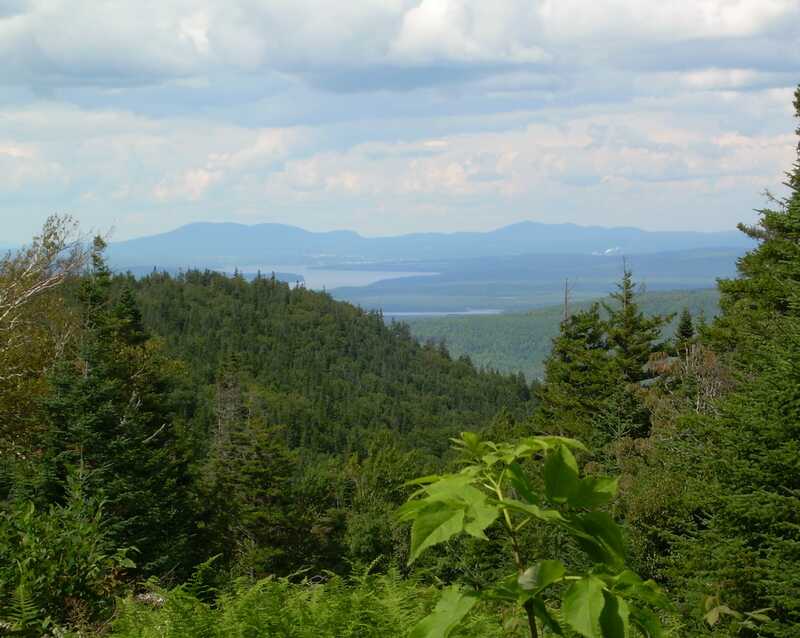 We also connect with the US via Cohos Trail in New Hampshire. Free access to most of the trails, but for the ones in the mont Gosford area.